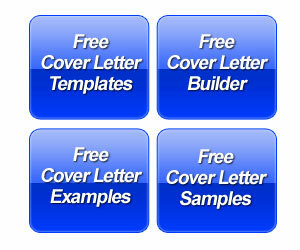 Below you will find a student cover letter example for a college student or entry level professional. The example is suitable for recent graduates and people seeking brand new careers. This particular example is written specifically to a hiring manager at a company. However, it does not appear to be in response to a posting, but rather an open letter for any business analyst position. 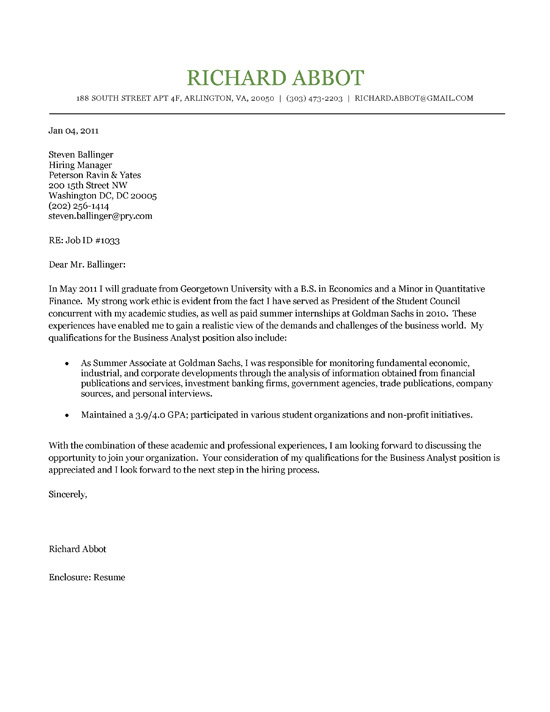 This student cover letter provides an example of how a college student can introduce their recently learned job skills. This job seeker has a just obtained their degree but also has past experience. The key aspect of this cover letter is to let the reader know that they had a prestigious internship position at Goldman Sachs monitoring economic and industrial developments. Nothing is more difficult than writing a student cover letter. 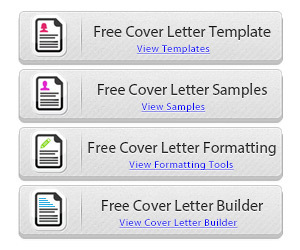 Most students lack experience, which means they end up with cover letters that lack content. Otherwise, the second most common mistake a student makes is that they spend too much time explaining duties in part time jobs that have little to do with their job target. Therefore, it ss important to have a specific target and explain what you learned in classes that enable you to do the job. If you are trying to become a biologist, then explain what you learned in your biology classes. This is what makes you a viable candidate. As much as we hope job seekers can accentuate their achievements, we realize students won’t likely have many career accomplishments if any at all. Focus on transferable skills: quick learner, strong work ethic, relationship builder, problem solver. These skills should be representative of the job target (for example, artists display a more creative aptitude while accountants show a more analytical aptitude).